Feel the presence of NYX, The Goddess of Darkness. One of the most feared figures in all of Greek Mythology, she is an exceptional power and beauty with Zeus himself even frightened by her. 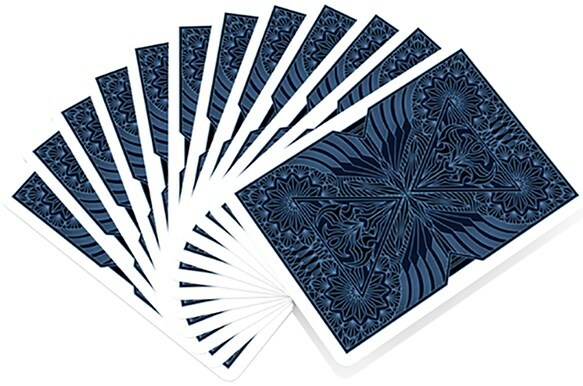 The deck is made by Collectable Playing Cards and Produced by USPCC. Make sure you are not left in the dark on this deck! The back card is a hypnotizing kaleidoscope blue against white borders. 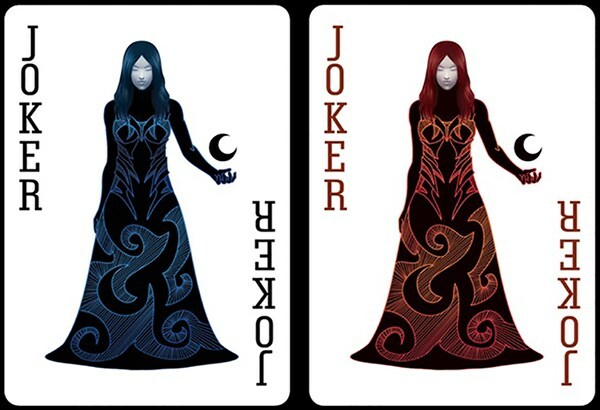 The artist decided to modernize her as the court cards features her complete with dark metallic armor. She is featured in blood red and night blue; ready for battle. 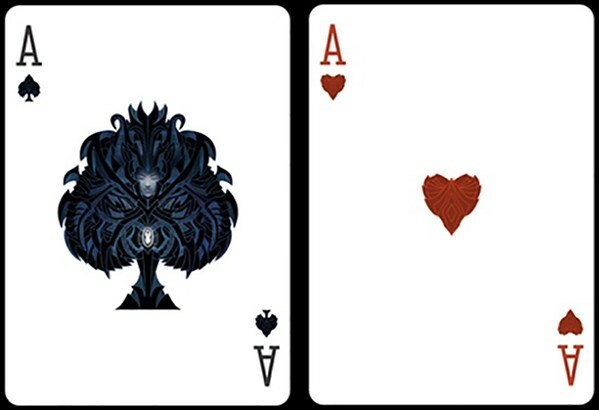 The numbered cards and pips feature a rigid and abstract design. It pierces through the white backdrop and really pops. 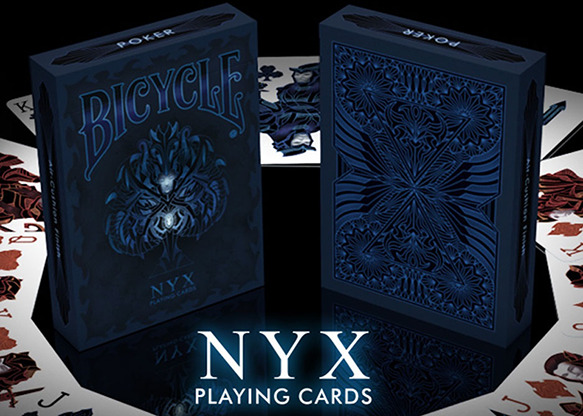 NYX makes a rare appearance in red and blue on the Joker cards. This deck looked a little nicer in the photos than how it turned out - although that's purely my opinion and others may see it differently. But I found the blue and the black a little too close in colour, and so the pattern of the card backs didn't stand out as much as I would have liked. The faces are quite nice, and I liked the idea of going with red and blue as the main colours. The pips are quite customized and feature some unusual shapes that are worth looking at closely.